If you’re planning to build, pitch, or run an eCommerce-enabled site soon, grab the new version of Commerce Kickstart and take a look (get the latest 7.x-2 release). We’ve continued to refine the features that Bojan wrote about last month, both for site builders and customers. That’s what you get by default — it’s an unretouched screen shot taken immediately after installation. Nice! A better-designed site. Commerce Kickstart’s presentation is based on the Omega theme, which is easy to modify and gives you HTML5 compliance and a mobile-ready responsive design for free. Improved administration. Product creation; module control; and product, order, and customer management are all easier on Commerce Kickstart than on core Drupal Commerce. A much better user experience. 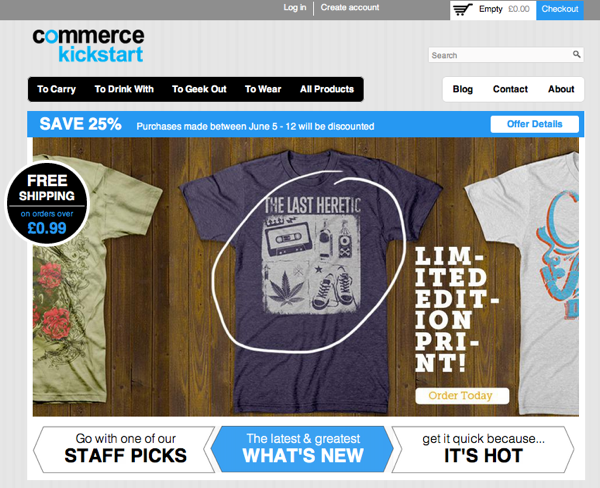 It’s a pleasure to shop on the Commerce Kickstart demo site. Products look better, checkout is easier, and there’s faceted search to lead customers to what they want faster. A demo for client presentations. Just change some graphics and product details to effectively show clients the possibilities. Faster development. Commerce Kickstart shaves days off your setup process. That’s time you can dedicate to the site’s requirements. Our offices in France and the U.S. are hives of activity to make Commerce Kickstart amazing for DrupalCon Munich. But don’t wait until then: Take 15 minutes to try it now so you can offer your clients — and yourself — a better way to start an eCommerce site. Thanks. I saw that 'Sneak Preview' during the last week of June and took the highlighting of 'a lot left to do' to go and revisit 1.x. Glad to be reading this before trundling too far down the 1.x path before considering 2.x. Fantastic! Can't wait to check it out. ThinkShout's hoping to sprint on a lightweight integration with RedHen CRM with Kickstarter 2 in early August. So now what people will see immediately after installing Commerce Kickstart now is… a pot leaf? Hmm, that falls a bit short of classy. We haven't reviewed or tweaked the text and images since the demo content was added, and that obviously needs to happen before beta1. Or mental, or whatever. I am out of words. This might be the most rocking thing Drupal since, well, ever. Great, great work! Yep, definitely some problems there. It's very near the top of my todo list. We're planning to redo the content / product type screens completely. 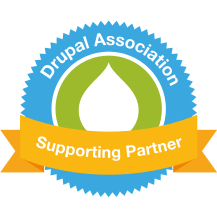 Last year I fell in love with Drupal. Now I want to build my first webshop in Drupal. Choosing for Drupal always means one has to make some important decisions. 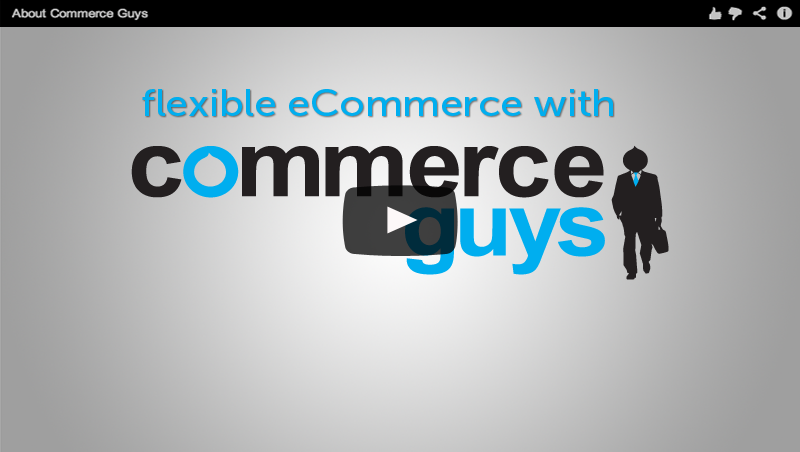 Choosing for Drupal Commerce (and not for Ubercart) was the easiest decision. Because I have no experience, I also decided to use the Kickstart profile. Choosing between v2 and v1 of the profiles is the hardest decision. v2 looks very promising, but at the moment there is almost no documentation available yet. I want to create my own content types and product types, but not everything works as expected. I hope some good documentation will be available very soon.